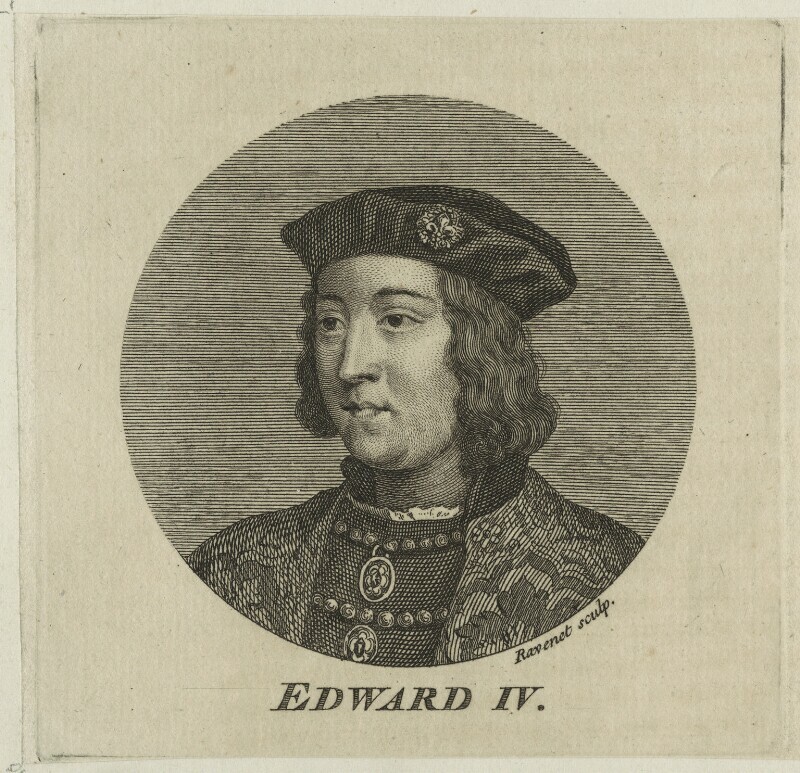 King Edward IV (1442-1483), Reigned 1461-70 and 1471-83. Sitter associated with 37 portraits. Simon François Ravenet (1721-1774). Artist associated with 34 portraits. The sudden death of Prince William, son of Princess Anne and George, Prince of Denmark, triggers a succession crisis. His birth had secured the succession of the crown to a Protestant, safeguarding the throne from any future claim by James II's Catholic son, James Francis. Dramatist, William Congreve's comedy The Way of the World premieres at Lincoln's Inn Theatre, receiving a mixed reception. It would achieve greater literary acclaim in modern times. Poet, John Dryden, dies and is buried in Geoffrey Chaucer's grave in Westminster Abbey. Diplomat and poet, Matthew Prior, secretly negotiates with Louis XIV, king of France, a second partition treaty concerning the Spanish Empire. However, following the death of Spanish ruler, Carlos II, the agreement collapses since neither Spanish or Austrian governments accept the treaty's proposals.